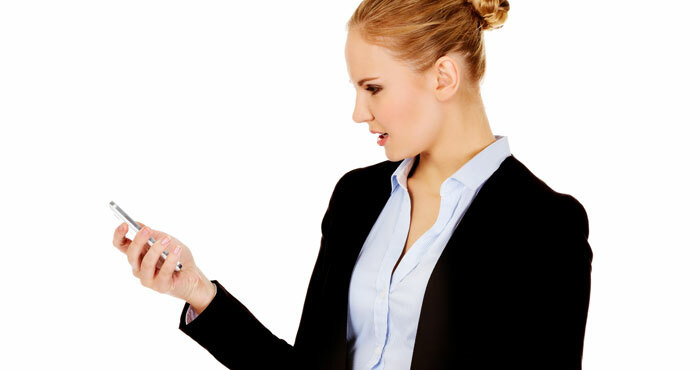 No one enjoys cell phone spam, especially aggressive telemarketing calls and texts while you're on the go. Though you can list your cell phone number on the Do Not Call Registry, that doesn't stop telemarketing text messages or even all phone calls in our experience. If you're tired of these nuisances, you have options. You can use the following apps and features built into your phone to help cut down on spam. There are some built-in features that identify incoming calls on most Android phones (those that are running Android 4.4 and higher). Caller ID by Google will match incoming calls with Google Places listing and display that name on the call screen for you. Unfortunately, this is highly dependent on the company being listed in Google's business directory. If you're getting nuisance calls from the same number, you can block it from the call log. Select the number you want to block and when you see the details for the caller, hit the menu button. There you'll find the option to "Block/report spam," "Add to reject list" or something along those lines. You can manage your call reject list, including adding contacts or numbers, under settings >> call >> call reject >> auto reject list. You can also opt to send all calls from a specific contact directly to voicemail. Once you get a call, make a contact out of that incoming number. Then view that contact (the People or Contacts app) and tap on the menu to see the option "All calls to voicemail," "Add to Auto Reject list" or something similar. For earlier versions of Android, your options vary somewhat by manufacturer. When you get a spam call, open the call log and press and hold the number you want to block. While you're holding, a menu will pop up letting you add that number to your contacts or block it. Samsung calls it "add to reject list," HTC calls it "block contact"—you get the idea. On LG models, you can go into system >> call >> call reject >> and then use the + to add numbers from your recent calls. All of the above options send callers straight to voicemail. Until recently, you were able to use apps to automatically hang up on numbers. However Android phones running Android 5 and later no longer support this function. Following are apps that specialize in dealing with annoying calls in different ways. Mr. Number lets you block calls and texts from specific numbers or specific area codes, and it can automatically block private or unknown numbers. It also lets users report spam, so when you get a call from an unknown number, you can see what others have reported about it. When a blocked number tries to call, your phone may ring once, though usually not at all, and then the call is sent to voicemail. While Mr. 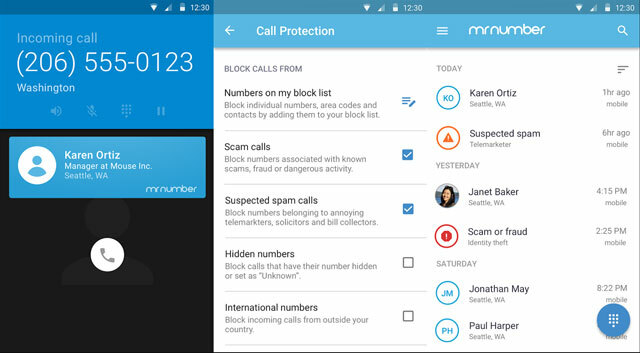 Number focuses on blocking calls and texts, Truecaller focuses on identifying who's trying to get in touch. Truecaller provides caller ID information and reverse lookup data for incoming calls and texts — and all this info means that Truecaller knows who spammers are and lets you block them before they start bothering you. The app makers maintain a database of spam callers and telemarketers and will automatically flag incoming calls as such. This database comes from both white and yellow pages services as well as crowdsourced from the Truecaller community. Truecaller will ask to add your list of contacts to its database, but this is purely optional. 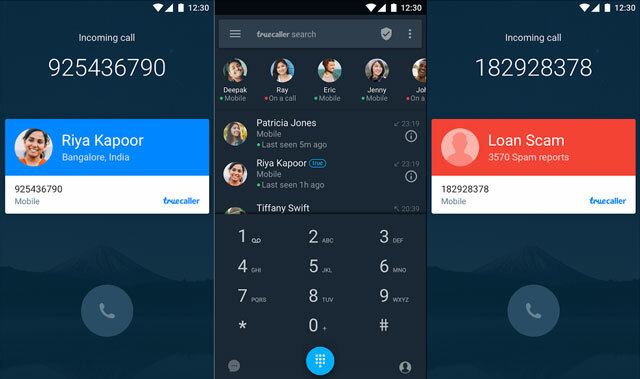 You will have to verify your number with Truecaller before being able to use the service. For individuals, go to the Contacts app and tap on the contact you want to block or find the number on the Recent Calls tab (clock icon) on your Phone app and tap the circled "i" icon to the right of the number. Both these methods will take you to the contact page for that caller. Scroll to the bottom and click on the Block This Caller. But what about identifying incoming calls or texts as spam? For that, we like Nomorobo ($1.99 per month), which won the FTC's Robocall Challenge. If you don't find any built-in features or apps to your liking, your carrier might offer blocking options (although they could come at a cost). AT&T users should look for Smart Limits, a parental control feature that lets you block calls and texts for $4.99 per month or $.9.99 for up to 10 lines. Sprint users can set up call blocking from My Sprint. Verizon users can block five numbers for free for 90 days, or pay $4.99 a month for 20 contacts and more blocking options. T-Mobile can block all text messages for free or subscribe to Family Allowances ($4.99 per month) to block up to 10 numbers. Finally, try filtering by using a Google Voice number as your primary means of contact. Google Voice offers great spam filtering options with a database of known spam numbers, and it can automatically block potential spam. You can port an existing number to Google Voice for a $20 fee to enjoy first-class call filtering options no matter what kind of phone you're using. This method works for both iPhones and Android smartphones. Updated on 7/14/2017 with Android OS and iOS changes and new carrier options. I have an HTC DNA running Jelly Bean 4.2.2. Is there any app which will enable me to block (not just send to voicemail) one or more specific numbers, on an HTC phone? Btw, I am aware of my carrier blocking options so I’m only asking about apps here—and only about blocking, not sending to voicemail or identifying. Hi Jeff. When you go into your “call history” and press and hold on a number, do you see option for “block contact?” I tested with an HTC One running 4.1 this morning and just updated the OS to 4.3. For me it worked with both versions of the OS. Let me know what you’re seeing. I have used Mr. Number for a couple years. When I was using a Samsung Galaxy Express runningIce Cream my phone would ring. When I upgraded to an S4 running the updated Ice Cream and now Kit Kat my phone doesn’t even ring if I have blocked a #, so your info is wrong in those situations! Thanks for the heads up. I tested on a Samsung Galaxy S3 running Android 4.3 and found that sometimes calls from blocked numbers would ring once, but usually didn’t ring at all. I’ve updated the story. Yes Jeff, and that’s my biggest peeve with Android, Samsung, Verizon, whoever’s to blame. It seems to me that a software upgrade could send it to cyberspace or at least give your unblocked numbers priority on voicemail. Another needed upgrade is to delete all unwanted voicemail as a group instead of listening to and deleting individually. Sadly, truecaller is just another data collector. It wants my number and name. Do it’s gone. It’s one thing when i can’t stay off someones data list, but to willingly put myself on it is questionable. You should have mentioned Contactive! Contactive is another option to consider for identifying legitimate businesses versus spammers. Full disclosure: I work for the sister company of Contactive. This has been my routine for years: if the caller is not in my contact list, I don’t answer. If legitimate, the caller will leave a voice mail. Spammers never have. Later, I add that spammer to my “Spam” contacts. But how do you block caller with an UNKNOWN number (no number) and that caller called my phone 10+ times Friday, 5 on Saturday and already 5 today, Monday. We answered 2x Friday and told them they were a scam, do not call again but they continue, no voice messages left. Don’t forget us old timers on landlines. For landlines the best option is the T-Lock call blocker. I’ve tried YouMail and Mr number. Neither do what I want. I want a button on my screen when my phone rings that will answer the phone and play the “this number is disconnected” message. I get several calls a week from illegal robo-callers from a different fake caller id every time. Since it’s a different number each time, blocking a particular number won’t help. The Privacy Star app looks at reports from across their community to identify telemarketing numbers and block them before your phone even rings. There is a free version, though some features requires a paid subscription. There is also ‘AntiNuisance’ which blocks calls and sms that are undesired on Android phones. I keep getting private numbers calling me now I have a not so new android phone and have tried your tips and nothing works what do I do? I have a Samsung Galaxy S5 on T-Mobile. My problem with running the “Reject Call” is that they go into my voice mail so “Rachel from Card Holder Services” is leaving messages for me. I used Mr. Number and it did work for me. Was thinking of paying for Extreme Call Blocker ( Google Play @ 6.99) since this is out of hand on my world. 4 to 7 calls a day. Anyone heard of this or used it? If I get another ” Hello Seniors..” message at 6am I am going to scream!! Amazon’s Fire Phone has its own operating system, will not install anything from Google Play Store, has a limited number of apps that can be added to it. When I had a Samsung Impression, after the system was updated, there was a “Block Caller” option in the phone settings. Any suggestions that would work on Fire Phone without having to pay the AT&T per-block or subscription block fees? There is no “Add to reject list” option in Android 4.4.4. Why did that get in here? The call blocking options for Android phones aren’t uniform. Which Android phone are you using? Looks like many posts here are plugging one app or another trying to get someone’s focus on possibly trying that app ansd it just gives me the same feeling as when I get these unwanted calls. SOmeone is trying to sell me on something. It all wreeks to high heaven. ..As true now, as it was in March 2016. We’ll said. I agree with you completely and I wish more people would open their eyes and stand up to this predatory BS! The Megalopgalis that has given us these devices that we have found to be so essential to our lives are doing a lousy job at protecting our privacy. They only want to add a ‘fee’ to something that should be a right, not an option. The best thing out there for you home landline is PhoneTray Pro. Phone usually rings once until Caller ID is received, but if in PhoneTray’s spammer list, it gets blocked with a choice of options in the setup. I’ve used it for 3 years now and it is great. Nomorobo.com also has a list of spammers and will hang up after one ring. You can add to their list if one gets through as a new number. I’ve used it for several years on my landline and it really helps. I don’t want to pay for it on my iPhone. Will it work for UNKNOWN? No number listed, it’s UNKNOWN or PRIVATE. And they are a nunance, more than ten times in one day, even after I told them they were a scam and stop calling. They followed up with several calls the day and again today. Is there any App that blocks calls without any notifications ? Got through ur contact list and set seperate ring tones for ur groups or the same ring tone for everyone. Change the default ring tone to silent. If the caller is not in ur contact list, u will not hear anything. Once a day check ur recent caller list and when u see an unknown caller just block the number. U can block an unlimited number of callers and text junk. Hopefully, some day soon the gods at Apple will give us the ability to block area and contry codes. If your home phone is beind blasted with junk calls, switch to ITP VOIP. U can bock an unlimited area codes, contry codes, area code exchanges etc. If you are experiencing harassment from telemarketers, they might be violating the TCPA and FDCPA. Check out http://ihatetelemarketers.com/ and fill out the form to stop the calls. I use Hiya. It’s not bad.The caller ID will inform you that the call is from a telemarketer and you have the option to block. I’ve been getting several calls during the week. Your tip about using Google Voice has one huge flaw - yes Google Voice has good spam filtering, but Google Voice uses your carriers cell phone number “underneath”. There is no way (I’ve found) to prevent calls directly to carrier number, so in effect you now have TWO numbers that can receive spam. If you find a way to allow calls to the carrier number ONLY via Google Voice, this would be great - if you find a way let us know. There are apps, like Drupe, that will allow you to block all unknown numbers (those not in your address book), so Google Voice numbers would still come through (just add it to your address book) and everything else would be blocked. Note that with the latest version of Android these callers will still be able to leave you a voicemail. seems to me that all these robo callers are promoting something, be it products or services. I.E. Racheal from credit card services. The solution seems to me that each call made charge credit card services, its representatives or any other agency involved $500. per call. If a phone service allows a block of numbers used for telemarketing, fine them also $ 500 per call. Is there an app that will auto reply to a blocked number that I select? My work has distributed my cell number, and I would like to inform parties that I will not accept work-related calls on my private phone and for them to call the office. And I will Paypal a few $$$ to the best response. App needs to be running or no? Does anyone know if the app AntiNuisance needs to be running (ie: perpetually open; a ‘swipe-to-close’ option on the ‘open apps’ screen) or does it function as an unopened/‘silent’ app? I got spoofed today from a solar company’s service company.After three transfers I learned the company was Momentum Solar. I’ve been using this app AntiNuisance for a few months now and it works pretty well. It doesn’t block all calls, some still get through, but it catches 90-95% of them (it’s blocking about 40 calls a day and only 1 might get through per day, sometimes none). It has the option to block individual numbers from recent calls, contacts, or via manual entry. It also has the option to block numbers ‘that start with’ certain numbers - so, for example, 1-732-, in the case of BEEN SPOOFED above. However, it’s not perfect - some calls still get through. I’ve found a way to ‘beef it up’ though, and I’ll try my best to explain below. I go the extra step and try to add numbers that start with, as in the example, just 732 (so, without the international calling code # 1). Since my area code needs to be included when people dial (10-digit calling rather than 7-digit calling), there’s no risk of it blocking local numbers that start with 732 after the area code. Keep that in mind though if your area does not use 10-digit calling! When I try to add just the three digit area code without the 1, a lot of times this results in an error message saying something like ‘that number is already blacklisted’ or ‘that number is already in the list.’ But it /does/ help to have not just the individual telemarketer/scammer numbers blocked, but the area codes themselves. So to get around this quirk in AntiNuisance, I add all the numbers from the incoming calls I don’t want to my Contacts under the name ‘Blocked,’ and then add the ‘starting numbers’ to the contact like this: +1732####### -AND- 732#######. The # key represents ‘any number,’ and should in theory block all incoming calls from that area code, but it doesn’t seem to work on my Huawei P20. However, if you do this, you can then go back into AntiNuisance and add those #-ending numbers via ‘Add from Contacts’ - and this DOES work (90% blocked). You otherwise cannot add the # sign into numbers manually in AntiNuisance. Stupid, but that’s how it is. I continue to do this (and make sure that the contact ‘Blocked’ is actually blocked each time you add a number, as sometimes adding a new number removes the block restriction). As I’ve said, this will block about 90-95% of your unwanted calls. It takes a few weeks to get enough numbers and area codes added to really see a drop in calls coming in, but it is SO worth it. I get a notification every day that says ‘38 blocked calls’ and it makes me feel so good. So hopefully the above helps you and you can get some relief from these vultures! I want to block all calls on an android phone that are not in the contact list.